The "Lunch with Lois" event offered everyone a chance to meet Noel Neill, the original Lois Lane. 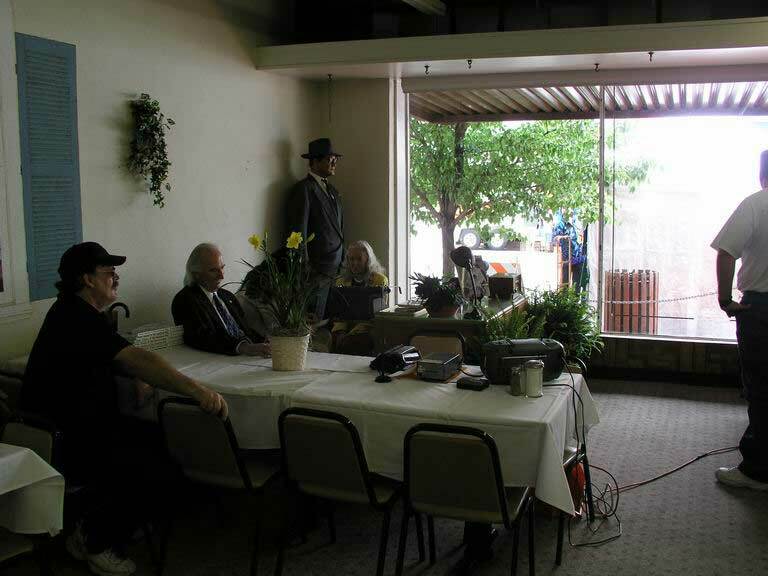 Jim Hambrick (Super Museum owner), Noel Neill (the original Lois Lane), and her biographer Larry Thomas Ward get ready for "Lunch with Lois" at Farley's Cafeteria in Metropolis. Ever patient, Clark Kent waits in the background.